The Faculty of Economics of the University of Ljubljana was a partner in a project on the topic of sustainable development management for which the FELU obtained financial support from the Erasmus+ platform. Besides the FELU, the following institutions participated in the “ERASMUS+ KA2 Cooperation for Innovation and the Exchange of Good Practices Strategic Partnerships for Higher Education” project: The Ss. Cyril and Methodius University, Skopje, the Institute for Research in Environment, Civil Engineering and Energy, the Vytautas Magnus University and the University of Graz. 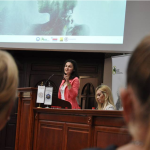 In August 2018, researchers and participants of the programme from Slovenia, Macedonia, Lithuania and Austria met in Skopje at the concluding conference and the final project meeting. Over five days, they attended the conference and final project meeting at which professors described the study results and the programme participants presented the top works that had been completed on the topic of sustainable management. The participants were hosted by Prof. Dr Biljana Angelova, Vice-Rector of the Ss. Cyril and Methodius University, Skopje, and Prof. Dr Ljubomir Drakulevski, Dean of the Faculty of Economics of the Ss. Cyril and Methodius University, Skopje. An important element of the visit was the very positive evaluation of the project given by Lidija Dimova, Director of the National Agency for European Educational Programmes and Mobility. The FELU was represented by the Dean Prof. Dr Metka Tekavčič, one of the project’s initiators, and Assist. Prof. Dr Judita Peterlin, Head of the Sustainability Leadership work programme, both from the Academic Unit for Management and Organisation. The conference and the final project was also attended by Secretary of the FELU Tilen Balon, MSc, who presented experience with higher education programmes in Slovenia, and the regional coordinator of the FELU for master’s studies in Skopje Melita Sekulovska, who shared the experience of the FELU’s study programme in Macedonia. 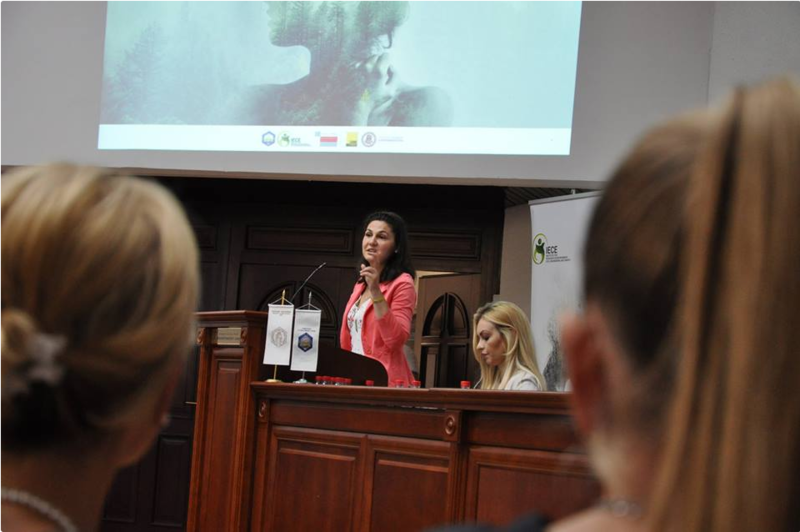 The Dean Prof. Dr Metka Tekavčič expressed her satisfaction that research into managers’ needs for implementing sustainable management had been successfully conducted in Slovenia and that, on its basis, a study programme was conducted which most students completed in Ljubljana. Assist. Prof. Dr Judita Peterlin presented the two years of the project’s research results and practical applications. The FELU lecturers involved in this programme included Prof. Dr Metka Tekavčič, Prof. Dr Vlado Dimovski, Prof. Dr Nada Zupan, Prof. Dr Tomaž Čater, Prof. Dr Tjaša Redek, Assist. Prof. Dr Darija Aleksić and Assist. Prof. Dr Judita Peterlin. For additional information, visit the project’s official website: http://www.erasmuspossible.com/.